A Melbourne Israeli Dancing group was dropped from participating in a Victorian dance festival after refusing organisers’ moves to drop all references to Israel. The Machol Israeli Dancing Club was scheduled to appear at Multicultural Folk Dance Festival of High Country in the Victorian country town of Mansfield earlier this month. The festival was organised under the auspices of the Victorian Multicultural Commission and a grant had been awarded to Marta Balan who according to a submission to the Victorian Equal Opportunity and Human Rights Commission approved the performance of the Machol Group. 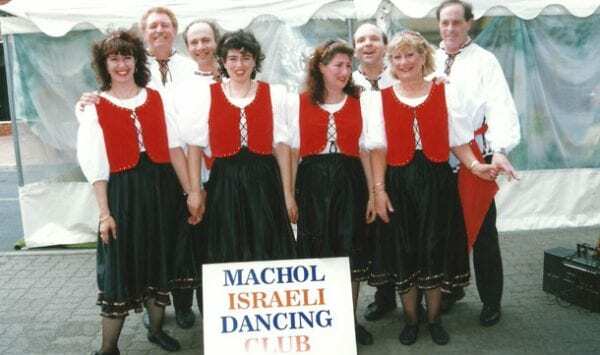 When the participants’ names were released, Esther Blumenthal-Skop of Machol was surprised to learn that the name of the Machol Israeli Dancing Club had been truncated to Machol Group and all references to Israel had been removed with the club being described as a Jewish dance group. No change had been made ot other groups including Chinese, Hungarian, Armenaian and Ukrarnian Traditional Folk Dances and the Irish Reel and Jigs. In her submission to VEOHRC, Blumenthal-Skop said she asked for an explanation and was told that the organiser would not be held responsible for consequences if the words “Israel” or “Israeli” were used to describe the group. The submission states that Ms Balan agreed to the original wording but within hours Machol was told that choreographers had decided that the dance bracket was not suitable for the event…and that the artistic director was not made aware of this and was surprised at Machol’s non-appearance at the final rehearsal. Machol organiser Moshe Lichenstein told J-Wire: “We were invited to attend the Festival by Ms Balan who has danced with us in the past. We were planning to send eight girls who were going to perform three dances. We have more than 200 members in our group and we dance four times a week.” He added that Machol had never experienced a problem like this since it was established in 1993. Machol’s members are not all Jewish. After reading the story ( and of course it was last year) i can only express my strong anger about the ones who advertise Australia as the multicultural country. People who was dropping the name “Israel” from the name of the group that, had to appear in the Multicultural Festival only prove that, we live in a country without freedom of speach and Australia should not be advertised as a free country-it remins me of Russia. Funny enough in today’s newspapers this topic is on the front pages. @Juanita “ongoing occupation by Israel of the Palestinian territories”. Using your logic from now on I am going to refer to Pakistan as Muslim Occupied India. I hope it goes down well with you. Oh dear, I just find this so saddening….having just finished reading The Hare with Amber Eyes and realising how discrimination and persecution creep up ….this is so un-Australian as others have said. And deeply disturbing. I guess the basic problem with Balan’s argument is that Israel is not the only nation state that didn’t exist for centuries (because of Islamic/Christian imperialism). Using her argument traditional Turkish dances should be excluded as Turkey only was founded at the end of WW1 and certainly didn’t exist 1000 years ago in Anatolia (perhaps in Central Asia). The same could be said for a whole host of National dances. Greece didn’t exist for centuries because of Ottoman imperialism and many Greek dances might actually have their origin outside the modern national borders of Greece. Using this 1000 year timeline then aren’t Russian dances really Ukrainian or Mongolian? The point is that almost no Nation state existed in its modern form 1000 years ago and many nationalities shifted geographically so Jews aren’t an exception in this case. I would say though that in it should showcase traditional Jewish dances (Ashkenazi, Sephardi, Mizrahi, Bukharin etc) rather than modern Israeli dances in order to satisfy the requirement of being “old, traditional” dances rather than modern ones. i don’t think the (half-Jewish?) Balan is Judeophobic though just a little ignorant of history assuming all nationalities traditional dances existed only within the borders of their modern Nation State. This is so blatantly anti semetic in excluding the dance group – since all other groups can claim their ethnicity – except ISRAEL. This must be sorted out immediately by the Victorian Multicultural Commission – and not left to drag on and on. Shameful. Withhold funding until the matter has been resolved fairly. Patricia, you are so right! If this group had been called the ‘OnlyTrue Religion Jesus Was A Muslim Islamic Dance Group’ it would have been accepted without a twitch and anyone who would want to attack them for their name and what it means to them would be the focus of the attention. The group would have been praised, pandered to and defended, and all critics of their name would have been vigrously branded ‘racists’, bigots, hatemongers and ‘Islamaphobes’. This is blatant anti-semitism (I’m not a Jew) and reprehensible discrimination. My regards for Melbourne have declined. Marta Balan spins once again. It does not exist. If the basis of her illusion is Cecil B. DeMille’s ‘The Ten Commandments’ dancing choreography, she is deluding herself and all others who come under her spell. None of the other groups that took part in the dance event were tested by the same strange criteria. More to the point , which Marta conveniently skirts, is the issue of her deliberate omission of the word ‘Israel’ or ‘Israeli’ from her promotional captions describing the ‘Machol Israeli Dancing Club’ as just a ‘Machol Club’ and removing the fact that the Israeli Dance Club draws on the Israeli culture for its inspiration. Furthermore, Marta Balan asked the ‘Machol Israeli Dance Club’ to participate in the dance event and she herself suggested the inclusion of an Israeli dance in the repertoire namely ‘Dror Ikra’. She accepted the final Israeli dance routine offered to her to be included in her program. However, after the clubs insistence on the word ‘Israel’ or ‘Israeli’ to be restored to the promotional caption , which she finally accepted, came her about-face and her decision to drop the ‘Machol Israeli Dancing Club’ form the dance events program. This is really a law and order issue. What does the statement ‘…….was told that the organiser would not be held responsible for consequences if the words “Israel” or “Israeli” were used to describe the group…….’ actually mean? Is it saying that there would be violence and threats against one group of Australians – simply because they were going to describe their dancing as Israeli? Which group of people were likely to make this threat? The legal focus should be on this group of people making such threats rather than the innocuous dancers. Where are the lawyers (quite a few Jewish ones among them) who so eagerly prosecute the slightest insensitivity (perceived or real) committed against those who want Israel and the Jews wiped from the face of the earth, and do so more often than not at the expense of your and my tax dollar??? If here we have not a case of blatant discrimination, I dont know what we have here. Agree – if this is not racial or cultural discrimination, I don’t know what is. This is the real intent of the Racial Anti-discrimination act. The mistake that Sol Salbe makes is that the name ‘Israeli Dancing’ refers to the dance style and NOT to the personal ethnicity of the dancers, who are all Australian citizens. The mistake that Juanita makes that the ‘West Bank’ is NOT occupied territory. Egypt, Syria, Jordan and Iraq ,jointly, Initiated the war in 1967 against Israel in which Israel came out victorious with the territorial gains of the ‘West Bank’ the Sinai peninsula and ‘Gaza’. Just like when the US won its war against Mexico in 1848 and as a consequence gained the territories of Texas, California, Nevada, Arizona, New Mexico and Utah. Would you call these ‘occupied territories? Sinai was subsequently returned to Egyptian control in return of a peace treaty with Egypt. Gaza was returned to the Palestinians as a gesture of good will and in return the Palestinians replied with a barrage of thousands of rockets aimed a Israel’s’ civilian population. In these circumstances, I think, Israel is quite entitled to expect a better deal from the Palestinians this time. The popular didigeridoo festival in Succot in Israel hosts many artists. White Australians are prominent among such players. But to the best of my knowledge, no white Australian can represent themsleves as Indigenous Australians. Shouldn’t a similar prinicple apply here? Dance as much as you like but you should not be able to present yourslef as Israeli-Australian unless you are indeed Israeli-Australian. On the other hand the Festival organisers should apply the same rigour to all applicants. Anglo Australian kids with Greek neighbours shouldn’t present themselves as Greek. Nationalities in the names of folk dance groups generally refer to the dance tradition, not to the ethnicity of the dancers. How racist and bizarre if you had to do family trees for the members! Besides the ethnic heritage of many Australians is very mixed. What matters though is that “Israeli” is becoming a dirty word. We should be fighting this trend in two ways–by asserting the unequivocal national legitimacy of Israel and Israelis and the racism implicit in their denial, AND AT THE SAME TIME by working in every way possible to hasten an end to the ongoing occupation by Israel of the Palestinian territories, with a just and peaceful resolution of the conflict. The words you use as “ongoing occupation” in itself is ABSOLUTELY WRONG and is only used by arabs and people who do not have an empathetic pont of view for the State of Israel. The word “occupation” is highly offensive to most Jews and Israelis! Perhaps you could use the word “disputed?” Additionally Palestine does not existand neither do Palestinians! Check your history and do not write from an uninformed and uneducated standpoint please. “ongoing occupation” – now isn’t it sad when you see the consquences of a school system which has replaced the teachings of facts and history with agitation, black armbands and leftist propaganda? In that case the VEOHRC and the Victorian Multicultural Commission are saying that they can determine the name of a dance group which they have no connection with. I thought 1984 occurred 27 years ago……….I also thought we lived in a democracy and that we had freedom of speech (and th right to name our own organisations). VEOHRC and VMC, please tell me I’m not wrong! Well spoken Liat. This is outrageous. Don’t you mean that public funds should be withheld from all race & ethnically-based organizations ? I don’t want my taxes paying for the promotion of ANY activity that promotes ‘multiculturalism’, and separateness in this country. It’s important this is brought to the attention of the public at large, so that the discriminatory nature of the situation can be realised. It’s a truly terrible precedent (although for all I know there could be other instances) that could snowball. It would be big news if it happened to groups of other ethnicity. In saying that I do realise that Israeli dance groups are open to all who might want to participate – ethnicity doesn’t matter in this regard. It’s Israeli dancing, not Jewish dancing, and shouldn’t have to hide behind another name. To assist and encourage your subscribers be more affective in such cases, you might do as Honest Reporting and other similar sites do: include the email or web address of the subject of the article – in this case the “Multicultural Folk Dance Festival of High Country” and possibly the “Victorian Muliticultural Commission”, so that we might send the appropriate message.